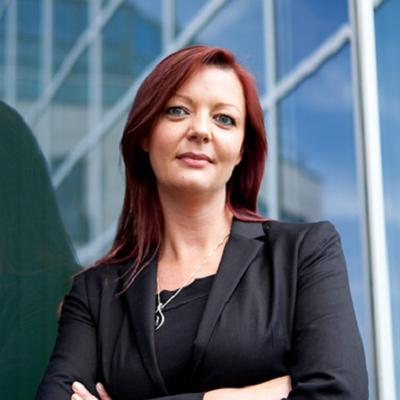 Great guest post by Tara Gale, the client solutions marketing manager, at Dell Ireland. You may personally not have to deal with bureaucracy or red tape, but that doesn’t mean big decisions come easily for any small business. Every corporate initiative, pilot project, new direction or policy change could mean the difference between survival and shutdown. So given how many heaping-full plates you’re already spinning at once, a mobility program might be the furthest thing from your mind. There’s no question the benefits of mobility are enticing: improved efficiency through less paperwork, greater employee productivity through 24×7 access to work files, faster customer-response times, money savings through bring your own device (BYOD) policies, and the ability to hire remote workers or offer remote work policies for existing employees, among other advantages. Mobility, if done right, can truly revolutionize and grow your small business. However there are legitimate factors every small and midsize business (SMB) should consider before implementing a mobile workplace. Backfilling devices, the security challenges, training costs, and a further stretching of your already-stretched IT team (if you’re lucky enough to have one) are issues which should be factored into and addressed by any decision. And while solutions to these issues are definitely available – the good news is that the release of Microsoft’s new OS makes this considerably easier. Windows 10 is bringing the best of mobility together in a more secure and easier-to-implement package, giving small businesses a good reason to take a fresh look at mobility. Given that 60 percent of SMBs are forced to close within six months of experiencing a data breach, it’s tough to overstate the risks of unsecured BYOD and mobility programs. Windows 10 addresses some of the most common mobility-related security threats by instituting multi-factor authentication, baking data loss prevention into the platform and helping protect against malware. When a company registers a device for Windows 10, that device becomes one of the factors required for authentication. The second factor is up to the individual, but it typically will be a PIN or a fingerprint or other biometric scan (coming soon: facial authentication). This ensures that hackers can’t get into your system just because they’ve obtained an employee’s device or password alone. In 2014, 87 percent of senior managers admitted to regularly uploading work files to a personal email or cloud account, while 58 percent of users admitted to accidentally sending sensitive information to the wrong person. Windows 10 combats this by separating apps and files into “corporate-managed” and “personal.” If a user tries to paste corporate-managed content into a personal file, Windows 10 will make the “paste” function unavailable. Offering these built-in security features not only saves you time on IT maintenance and management, it could potentially save your business from a catastrophic security event. Now for many businesses there will be a legacy impact. For instance even if you have devices which are all Windows based, it will be important to install an infrastructure which applies the same security protections to devices carrying older versions of Windows software. However the security features inherent in the new Windows 10 makes it easier for small businesses to be secure and mobile. Microsoft’s Windows 8 OS was definitely a play toward an expanding touch market. However while some businesses and mobile workers definitely embraced this with open arms, some businesses which embraced predominantly desk workers lamented some of the continuity breaks from Windows 7. In a meeting of past and present capabilities – Windows 10 maintains the touch enablement of the previous iteration while also reembracing the stability of Windows 7, making it great for use both at a desk and on the move. While this is great news for all users, it could be especially pertinent for SMBs looking to embrace a more mobile workplace. Smaller businesses most likely expect employees to be reliant on a single device, and may not have the capital to immediately embrace a wider infrastructure of devices (screens or docking ports for example). With an OS which allows users to be productive wherever they find themselves, SMBs will need to invest less initial capital to enable a mobile workforce and will find it easier to equip workers with all the tools they need to collaborate and work freely. Some of the best features of Windows 10 relate to the user experience. Your employees will have the ability to create multiple desktop environments to stay more organized. And with the new Microsoft Edge browser, users can be more collaborative from their mobile devices, writing notes directly onto web pages and sharing them with co-workers. In addition, it’s easy to sync Bluetooth devices, change the resolution of a laptop and perform other typical settings tasks, keeping training needs down to a minimum. Even amongst a small team, integrated collaboration features can have a huge impact on productivity and can make life significantly easier for all workers. However to truly enjoy the collaborative features inherent in the OS, small businesses should also ensure that any additions to their mobile fleet should include devices which enhance these advancements. Placing a higher importance on 2-in-1 devices – or those which carry strong video and audio capabilities – will also help small businesses truly reap the benefits of a mobile and collaborative workplace. Mobility might have seemed like a pipe dream for your small business before Windows 10, but now you have the opportunity to expand productivity, generate time and money savings, and give your employees the convenience they need to thrive in today’s mobile world. So before you write off mobility as a game meant only for large enterprises, rethink your reasons and give Windows 10 a look.